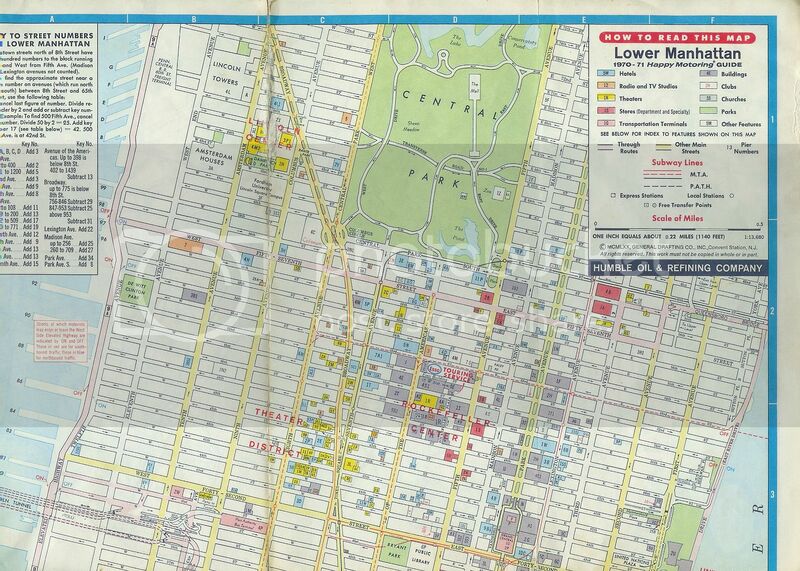 This is a 40-year-old map of midtown Manhattan. The many movie theaters, now practically all gone except Radio City Music Hall and the Ziegfeld, are represented in yellow on the map. If you want to test your memory by identifying the theaters just from their street location or first initial, have fun! If you need help, here is theindex. Out of the two that are still standing, I’ve been to Radio City so many times, while I haven’t been to the Ziegfeld although my dad has been there on occasion to see big event movies in 70mm and 5.1 analog Dolby Stereo Surround Sound (Apocalypse Now was one of those movies that were only playing in that theater). It is fascinating, not only for the theaters listed, which, if not demolished, have been converted to other uses or have had name changes over the past four decades, but also ditto for the list of hotels and stores. (And, of, course Esso/Humble Oil is a name that has not been seen in the U.S. for many years as well). I have mapped out the theatres for NYC for 1950, 1980, 1990, 2000, 2010 on Google Earth. you can turn on and off the years and the circuits etc. Don’t the yellow places also include live-stage theatres? Bill, Thank you for the incredible and useful information. More than a decade ago, I walked the entire length of the Broadway area and found an old 1920’s NAMELESS theater, on a side street, which was used as a black church. They kindly ushered me in, while the service continued, to admire the architecture. Brass(?) Three level magnificent chandelier w/clustered candles. White Corinthian columns w/soft mauve surrounding paintwork. Lots of gold leaf above/below on surrounding mezzanine. I think the stage curtains (Austrian ?) were dark green velvet? Can anyone help me name my pictures please as NYC is a long way from Oregon? Thanks! Or, if that is not possible, could you perhaps narrow down the stretch of Broadway and/or the likely side street or perhaps some other landmark or building that you recall was nearby? Simon, Could the theatre be the former Warner Hollywood Theatre, which became the Broadway legit. Mark Hellinger Theatre and later sold to the Times Square Church. The church is located just off of Broadway on 51st. Street in the Times Square area. Also look at Ed Solero’s post from May 15th. 2006 for afew photos from his Hollywood Theatre album and Howard B Haas’s post from Oct 2nd 2007. On the map it would be 2M for the Mark Hellinger Theatre. The picture links in Ed Solero’s post of May 15, 2006 referenced above no longer function; however, a new link to them can be found in his post of October 3, 2007. The current stage curtains at the former Mark Hellinger are currently red, but they may be replacements for ones that were green. CWalczak, the May 15, 2006 post from 4:58am link worked fine for me yesterday and today. Thanks for letting me and others know this; the problem must have been temporary; I kept getting “Image not Found” messages. I forgot to mention that the Paris (2P) is still standing and still showing movies. I like how the relative size and shape of each theater is represented by its image on the map. Radio City is the biggest, of course, but I was surprised how small the Criterion looked. 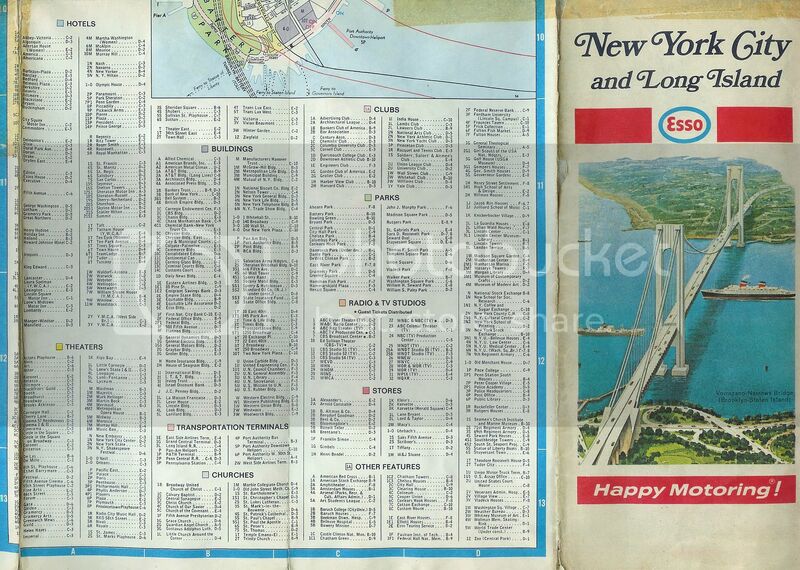 I went there several times in the 1970’s and it always seemed huge. On the map it looks relatively tiny, especially compared to the Loew’s State. There’s also a dust collection agency Best Router Table port that permits vacuum Router Table hose pipe installation if preferred.